Cloud storage and backup (and cloud offerings in general) offer a host of benefits over traditional data backup options. If your business is covered under one of any number of compliance laws, though, you may be hesitant to use the cloud. After all, falling under HIPAA, FINRA, or other regulatory rules may worry you as to whether cloud backup endangers your compliance. As it turns out, you can safely store your data in the cloud (and be HIPAA-compliant and FINRA-compliant), but there are a few things you should know first. If you're considering outsourcing your data backup to a third-party cloud service provider (CSP), there are some basics you need to recognize. Once you understand these fundamental principles, you'll be ready to ask the right questions. You can use cloud backup and still remain compliant under most regulatory rules. This is because cloud technology has come very far in a short period of time. Always remember, though, that not all CSPs are created equally. Some third-party services are more secure than others, but fortunately, vendors who are compliant with regulatory rules will let you know. The point to remember here is that the cloud is secure, and if you're a small-business owner or IT professional, it's likely more secure and financially feasible than any onsite solution you may consider. It's also essential that you recognize that outsourcing your compliance-required data backup does not outsource your responsibility. Providers can certainly get in trouble if they don't remain compliant, but you'll face the same repercussions if something goes wrong. By using a third-party data backup company, you become business associates with that company under HIPAA and other regulatory laws. You'll want to pick the right provider, and since compliance-focused cloud backup providers are knowledgeable about these issues, they are likely your best bet. Now that you know the basics of cloud backup and regulatory laws, it's time to find the best CSP. To do this, you'll need to ask the right questions. This is the most important, and often most overlooked, question for businesses to ask. Simply because third-party vendors promise secure cloud backup doesn't mean they're compliant. In fact, they may not even know they're breaking the law if they're not compliant. Always double-check before choosing a vendor. 2. What about the contract? Under HIPAA regulations, you'll need to sign a business associate agreement with your CSP. Depending on the regulations you follow, your agreement could be different. Make sure a provider supplies this contract. If a contract is required, a legitimate company will know about it. Some CSP providers subcontract their data backup services. If so, both the subcontractor and CSP must remain compliant. 4. Is information returned or destroyed? There may be times when you need to end services with a CSP. With this in mind, ask what happens to the data afterwards. It's best if the vendor returns or destroys the information, but if local law prevents this, make sure the vendor provides continued security. It's not enough to simply ask if there are risks. Inquire about risk analyses that the CSP undertakes. Additionally, ask if the vendor has experienced breaches before and how they were handled. A breach doesn't necessarily mean the company isn't trustworthy, but the company's response to such an event can speak volumes. Even if you're in a small-business atmosphere, data backup in the cloud is still a viable option. 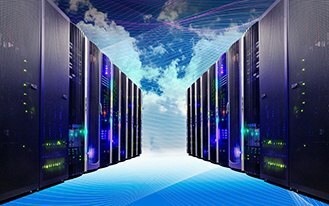 The availability of cloud technology has come a long way, so it's likely more affordable than you think. And since you can safely remain compliant under HIPAA, FINRA, and other regulatory bodies, it's certainly time to start reaping the benefits of cloud backup. The Health and Human Services website is a good resource for HIPAA compliance information. Click here for more.